You are suffering from DIY fever That is how my husband makes fun of me but seriously its fun.DIY’s are stress busters , easy to do and results always make you think ‘did I have it in me, why didn’t I try this earlier’. 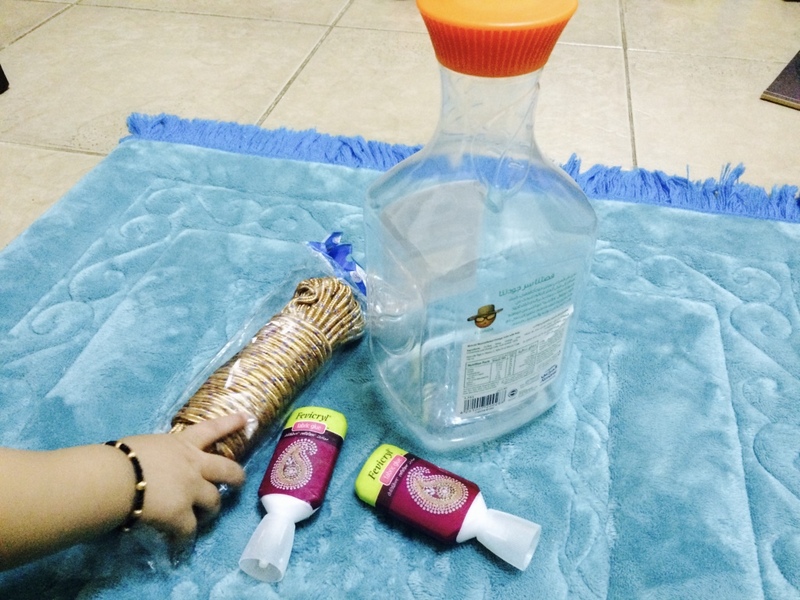 So let’s get started with the fever, today i am going to make a simple rope vase out of a juice bottle which i usually use to throw. Place the bottle upside down and apply the glue over the rope. Once the rope has stuck to the bottle you can start wrapping the rope around the bottle. Glue won’t be required in every round that you make as it will stick on its own to the bottle but if you want to you can use. I have used glue at the bottom and at the neck rest it stuck on its own. 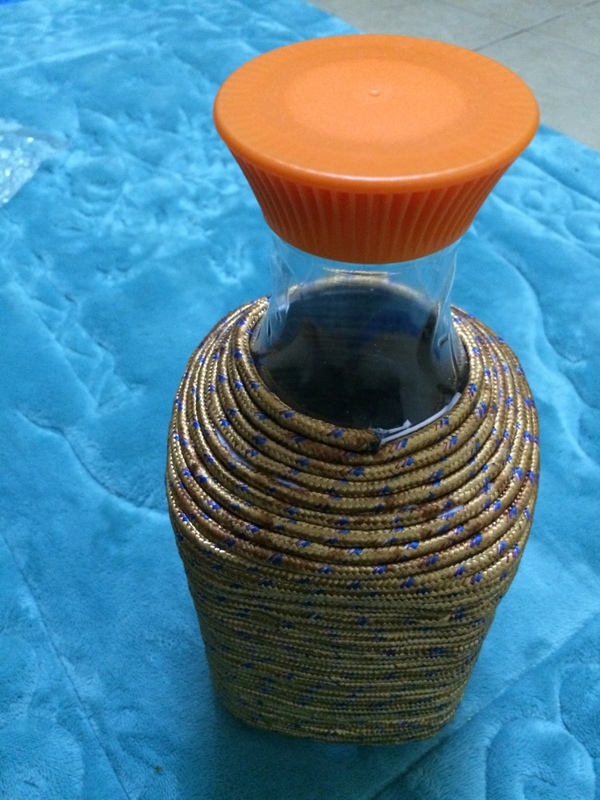 I have not removed the cap and wrapped the cap with rope as well.I liked the shape the cap was giving to the bottle. This is the final result you can make to decorate the shoe rack at the entrance like I did or else you can place it right below the lamp shade. Its perfect if you shift regularly like I do and don’t wish to spend much on decor yet want to make your house look beautiful. do not speak about these subjects. To the next! Kind regards!! thanks i guess you are talking about breast feeding….yes will definitely write more about it. Otheer than that, fantastic blog! thank you ..i will look into it thank you so much for the feedback else would have never known about the issue. whoah this blog iis wonderful i really like reading your posts. Wow! So pretty! I am seeing these bottles soldiers in stores and they are so easy to make! They look so pretty. I am a big diy projects lover. What is the plate underneath the bottles? woohh!! this is so easy but soo pretty..
wait up to see my development.. This is so creative and pretty i juts loved it….Thanks for sharing!!! This is amazing. Your sense of art is really appreciable. Thanks a lot for sharing the technique. Actually I was planning to buy this vast, but now I am going to DIY this. This is amazing and pretty easy!